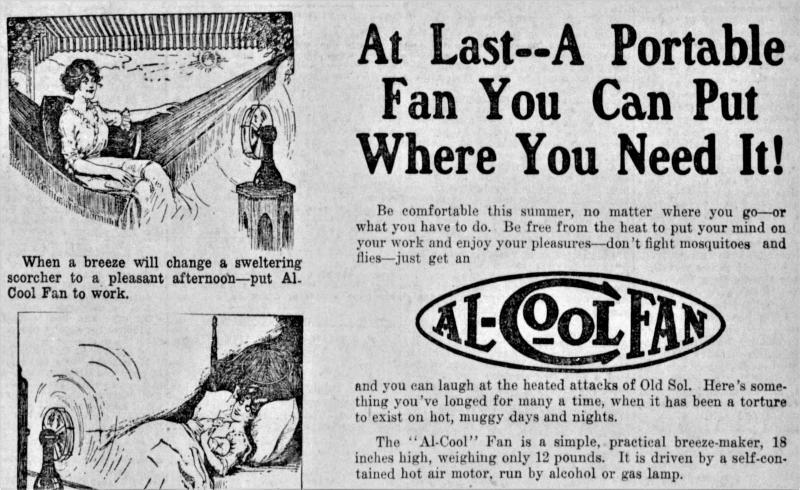 Looking for information on an "Al-Cool" hot air fan made in Chicago around 1916 ( similar in appearance to the Lake Breeze tabletop). I recently bought one of these in really nice condition and am not familiar with the brand. I am new to this group and thought maybe someone here could help. I have not heard of the make of fan you bought. If you post some photos it might help someone recognize it. Since Wayne did not post pictures or a Thanks to Russ for the outstanding Al Cool Fan information . . . I will do both. Your welcome, Terry. Your well presented fan is new to my eyes as well. What I am having a hard time with is I find nothing in electrical trade so far of conflict between Strong(Lake Breeze) and the Al-Cool models with infringement issues. 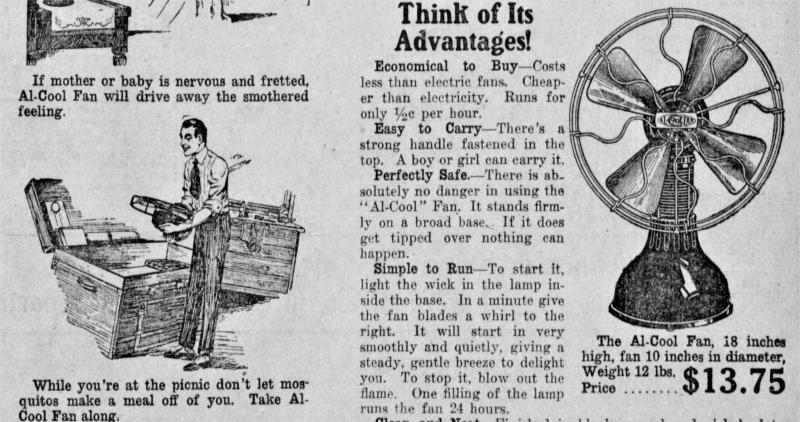 I see Al-Cool spanning years 15-17 electrical trade and then the trail appears to go cold. Don't underestimate Mr. Kearn's ability to dig up and contribute with great detail that much more, and then some. He has password access to an old newspaper website I do not have access to. Thanks for the detail pictures. Very interesting...did these come with optional gas burner? Good observation . . . . 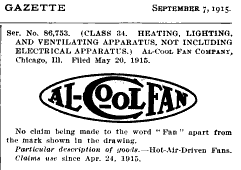 The Al Cool motor looks exactly like the Lake Breeze motor. Maybe Lake Breeze supplied them for All Cool? Otherwise I am sure you would find lawsuits addressing the issue. James . . . Thanks for the comment. Page processed in 0.2173 seconds (31% database + 69% PHP). 29 queries executed.